Do you like FUN SPORT? So we do! Hydroclimb provides fun-sport constructions for water activities. Floating rope courses guarantee a perfect event and fun place for families, kids, groups, athletes or rehab. Our system is produced in the EU, CE labeled and eco friendly. Hydroclimb has multiple solutions and adjustments which gives us the possibility to individualize our product for your needs. 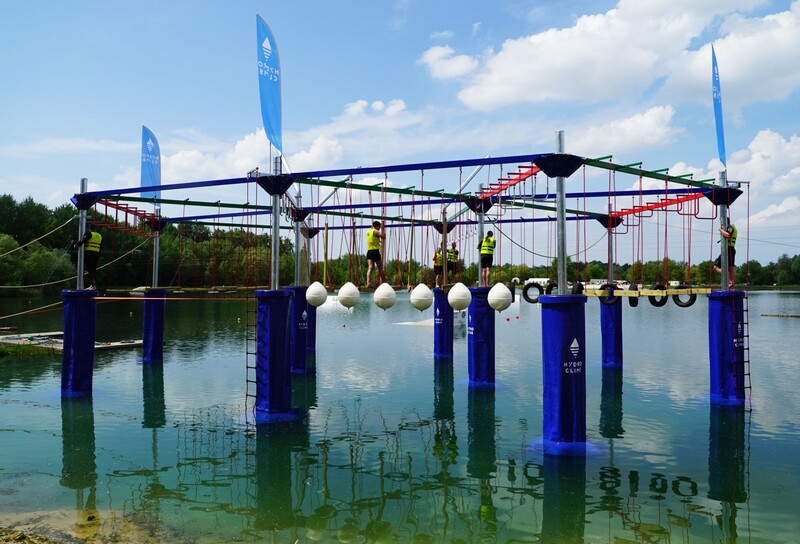 We combine traditional rope-course fun with water action and adrenaline. If you miss an exercise you drop into the water.